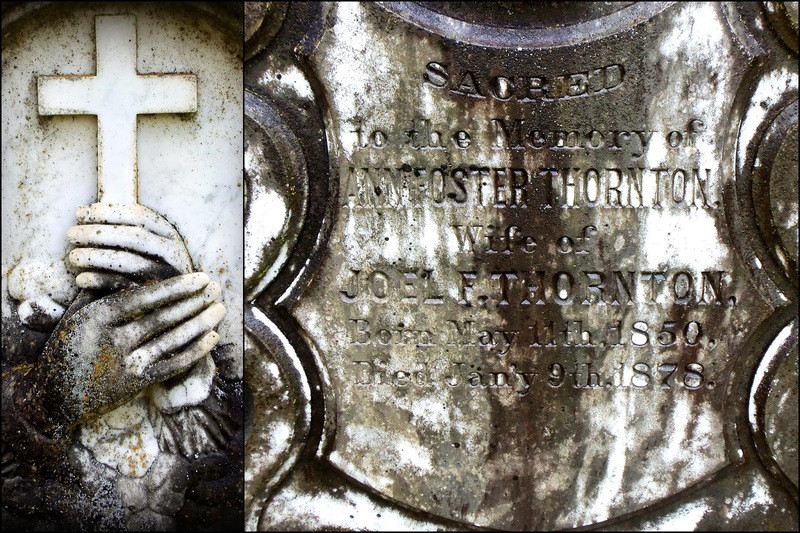 It's easy to notice Mrs. Ann Foster Thornton died at a young age -- just 27 years. Looking at the back of her ornate tombstone, I might have found a clue as to why. 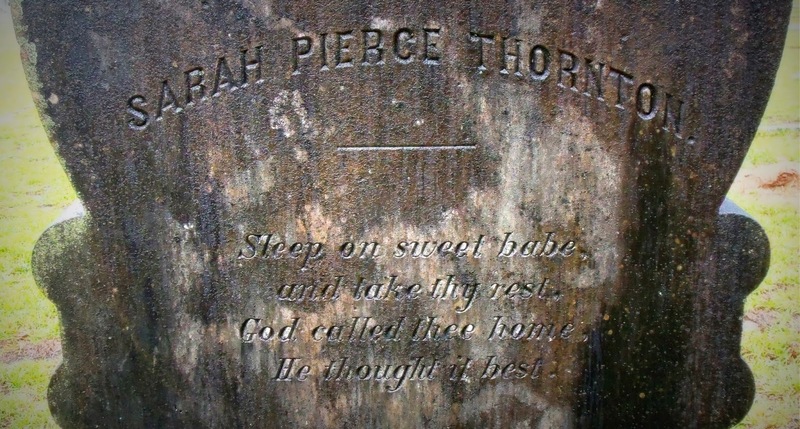 If Sarah Pierce Thornton is Ann's sweet babe, then one or both might have died due to complications of childbirth. They rest at Greensboro City Cemetery in Greene County, Georgia. What an amazing monument, it must have been quite beautiful when new. So sad to lose two young lives. 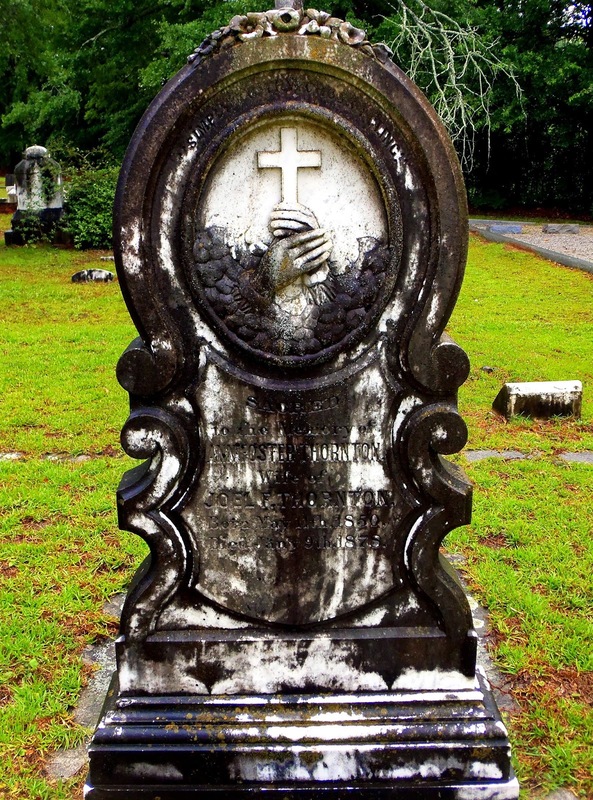 Thank you for linking up with Cemetery Sunday, we hope to see you again. I was ecstatic to find a cemetery link-up! Thanks for having me; I'm sure to be back.